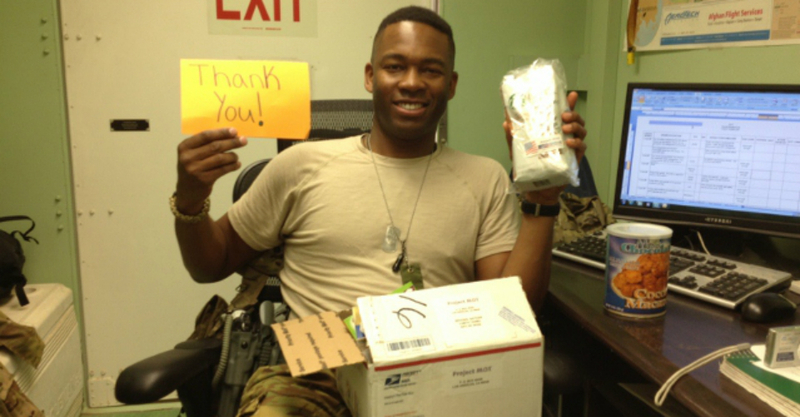 Above: Lieutenant Nathan L. Brooks enjoys a Pesach care package prepared and delivered by Beth Jacob's Nekadesh Committee to Jewish American troops stationed in Afghanistan. Israel's establishment of a field hospital in Haiti after the massive earthquake there is just one example of how Israel has modeled for us the Jewish responsibility of doing good deeds to benefit the world around us. In this spirit, an exciting initiative called the Nekadesh Project as been created at Beth Jacob. The goal is to even more actively engage our members in impactful projects and deeds that will make a difference in the world. We have already been involved in these types of activities- chesed programs, blood drives, charity projects etc.- but we want to get more people involved and do even more, as individuals and as a community. The name "Nekadesh" derives from "Nekadesh et shimcha ba'olam," from the beginning of kedusha, when we promise G-d that "We will sanctify Your name on Earth." In contrast, our Areivim Committee, in memory of Estelle Samson a"h, and our Shalom Aleichem Team have been doing a wonderful job promoting chesed, hospitality and kindness for those mainly within our community and those visiting - not a small task and very important. On the other hand, the Nekadesh Project draws our attention to the importance of chesed for those beyond our community - to doing all we can to make the world a better place.